I am a huge fan of The Walking Dead. It is truly the only TV show I NEED to watch. 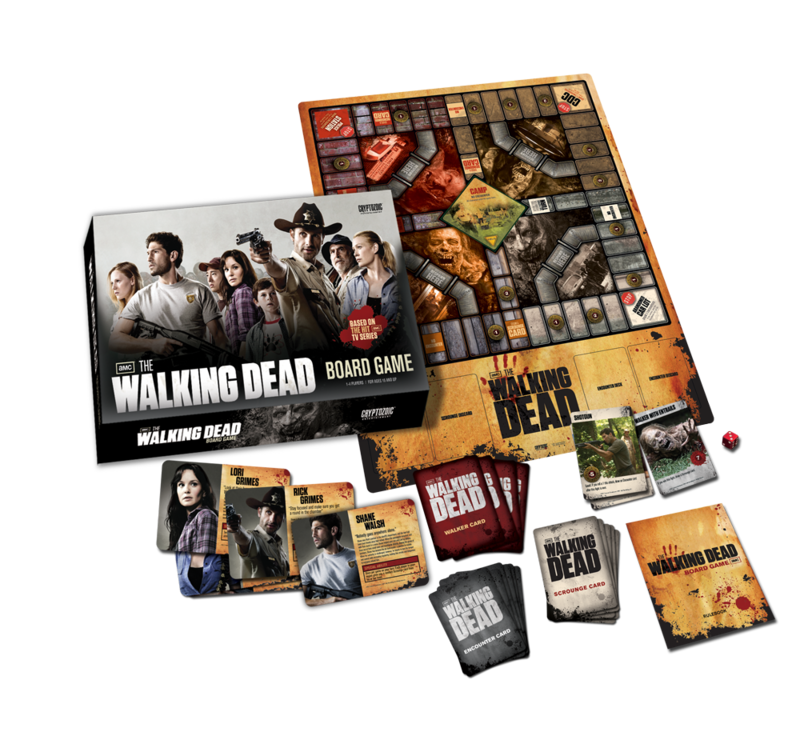 Here are my picks for the best Walking Dead gifts for the WD fan on your holiday list this year. 1. 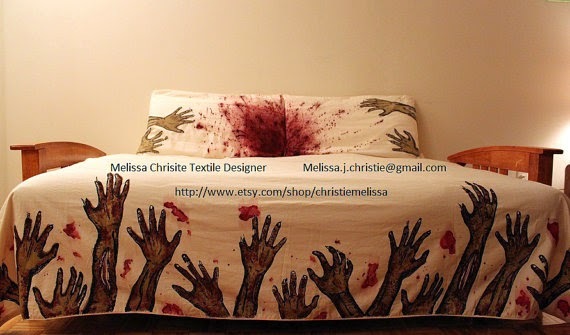 Etsy artist Christie Melissa created these amazing sheets! 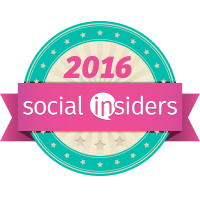 I am not sure that I could sleep on them but they are truly amazing. Visit her Etsy shop to purchase them. 3. 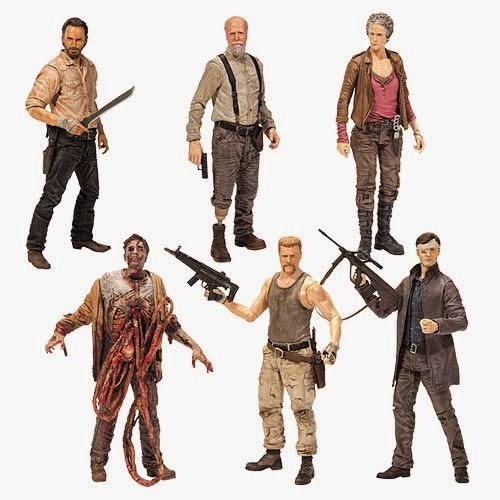 The Walking Dead Figurine Set from Entertainment Earth or AMAZON. 4. 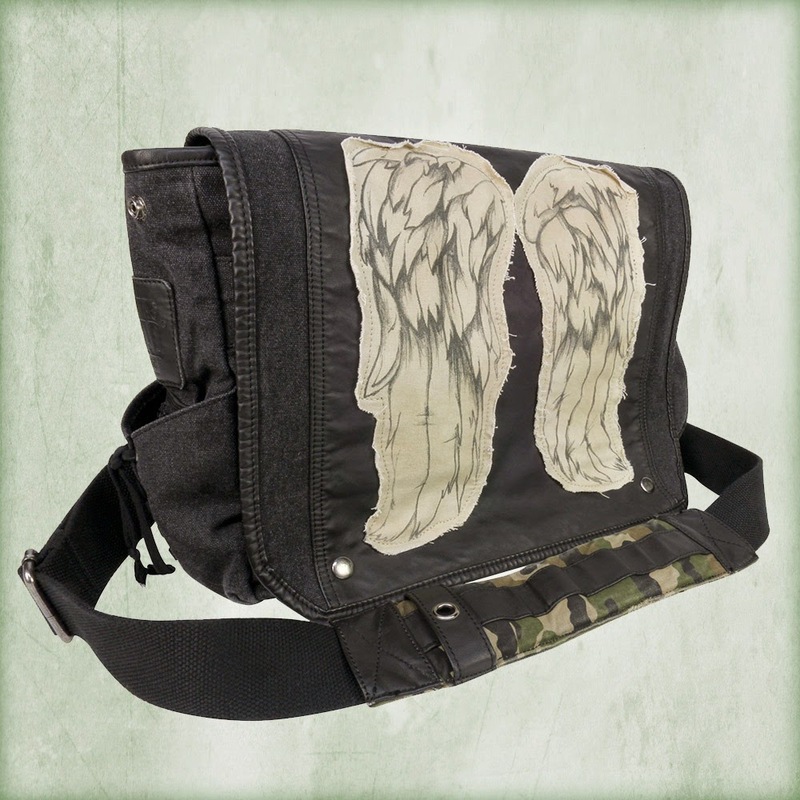 Daryl's Wings Messenger Bag. LOVE this bag. 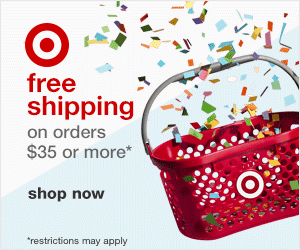 Find this at Shop Walking Dead or AMAZON this is a pre-order as it won't be out until January. 5. 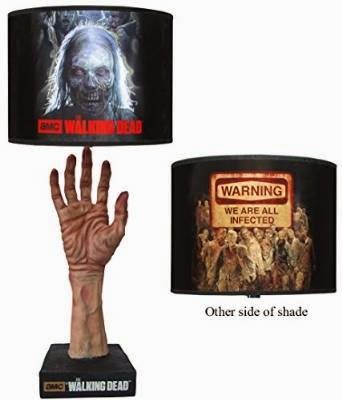 The Walking Dead Table Lamp on AMAZON. I doubt I could sleep with this in my room but someone will.